FREE Bonus with EVERY ORDER! Flush cuts are an integral part of the carpentry world, and no matter if you are working on the job site or a side project at home, a precise flush cut is key to great woodworking. 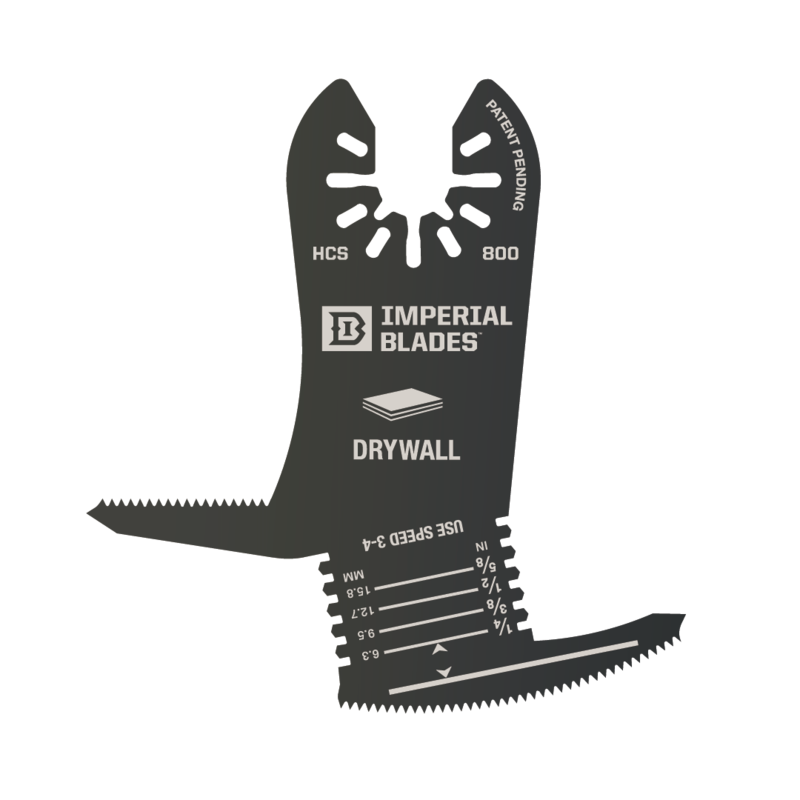 With Imperial Blades, you will have the confidence to make the right cut each and every time. Made right here in the USA, the Japanese Precision HCS Blade offers the flexibility that you need to make a flush cut in tight quarters, with the durability of Japanese inspired teeth. This blade is known for its extremely sharp teeth and is perfect for flush cuts on any type of wood. Although very durable, the blades do come in a 1, 3, and 10 blade options depending on the number of cuts you will be making, and of course, how tough you are on your equipment will determine how many blades you will need. The J Tooth design allows you to control the cut while maintaining a true flush finish each time. This blade is perfect for those looking to have a professional fast cut no matter the wood or finish. The big brother to the 1-1-4”, the Japanese Precision Hardwood HCS Blade is one of the finest in the country and handcrafted with high carbon steel, this blade will last. Although specifically designed to tackle flush cuts on hardwood, this versatile blade will be able to handle any flush cut that it needs to make, but we strongly suggest only cutting on wood. The J tooth design allows for accurate cuts, without the need to sacrifice speed and efficiency on the job site. With a 2 ½ inch blade, and the ability to order 1, 3, or 10, and even 25 depending on your specifications, this SKU is your best choice in our Japanese tooth oscillating lineup. Ok…so we don’t have 3 J-tooth blades…but the coarse tooth saw blade is perfect as a multi-use tool that allows the operator to cut into most soft materials. Although ok for some nails, the blade will last a lot longer if you avoid hard objects, and focus on drywall, wood and other soft materials. The added bonus of this saw blade is you can lay the blade flat on a service to ensure that you can complete a flush cut with ease. This blade design is also perfect for cutting under kick plates or undercutting floor jams to ensure you have a smooth finish.